Daler Rowney's varnish has a Matt Finish and is removable. 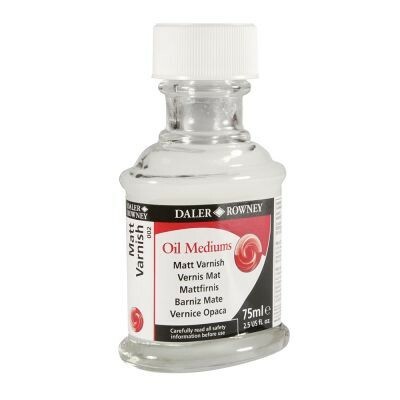 It is fully mixable with Daler Rowney Artists' Clear Picture Varnish, allowing you to manually adjust the gloss of your varnish to give the finish desired. This varnish is resistant to yellowing and can be removed with turpentine or white spirit. It is compatible with both oils and acrylics.